What will be the typing test pattern in Informatics Assistant - IA Exam 2018? Keeping in mind the last typing exam for Informatics Assistant - IA 2013 and RPSC LDC 2017 there is extremely high possibility that the typing exam for IA 2018 will be Typing Exam Software's Line Wise Typing Pattern. In 2013 IA typing exam was conducted by DoITC with the help of private agency. After four years the same agency was hired to conduct the RPSC LDC exam 2017; note that this time RPSC hired the same agency not DoITC. The reason behind line wise typing pattern is easy pattern and transparent results without any court disputes and high success rate. Smart Typing Exam Software is available for Informatics Assistant - IA Typing Exam 2018, Tax Assistant Typing Test 2018, RPSC LDC - Clerk Grade-II / Junior Assistant Typing Test 2018. 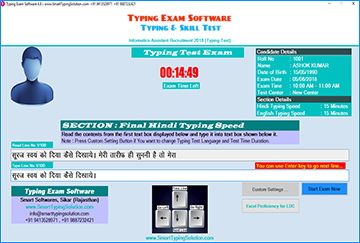 Typing Exam Software is as per Informatics Assistant Typing Exam 2018, Tax Assistant Typing Test 2018, RPSC LDC - Clerk Grade-II / Junior Assistant Typing Test 2018 line by line typing pattern with more than 500 exercises. You can learn typing for the upcoming Informatics Assistant - IA Typing Exam 2018, Tax Assistant Typing Test 2018, RPSC LDC - Clerk Grade-II / Junior Assistant Typing Test 2018. 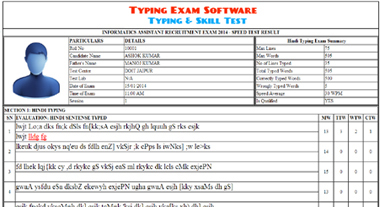 Smart Typing Exam Software is best for upcoming IA, TA, LDC Exam. DoITC IA exam will be conducted on 12 May 2018 and typing exam will likely to take place after one month of written test. If you are looking for a typing exam software for typing test preparation of the Informatics Assistant - IA, Tax Assistant, LDC Exam 2018 your search is finished. Download Typing Exam Software for sure success in IA, TA and LDC exam 2018. Note- Smart Typing Solution never claims to be authorized by any recruitment organizer department or organization or commission. 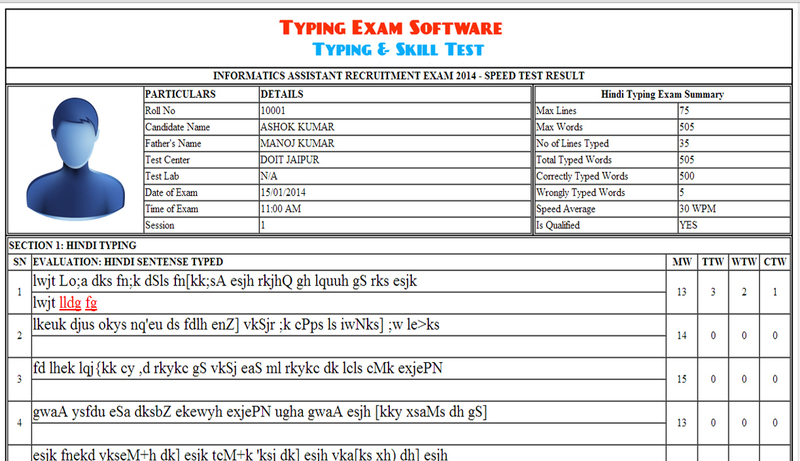 Smart Typing Solution provide software dedicated to your better preparation for typing tests. Best wishes for your success.